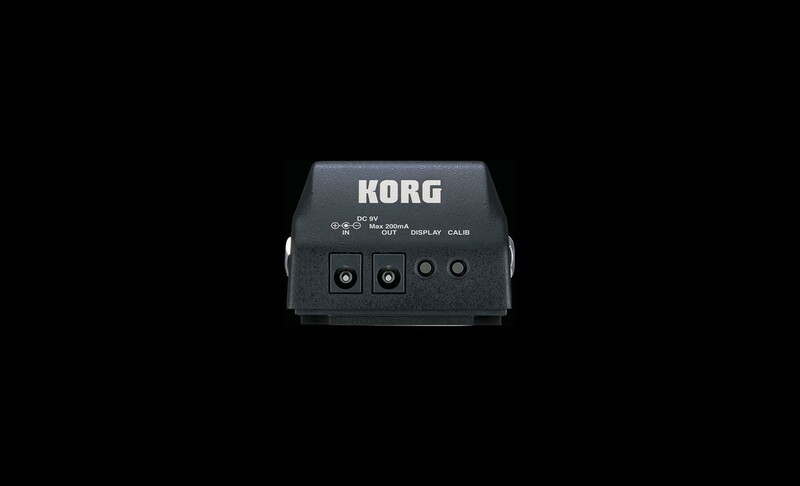 High precision and advanced functionality and sleek style make this new guitar/bass pedal tuner from Korg our most advanced yet. 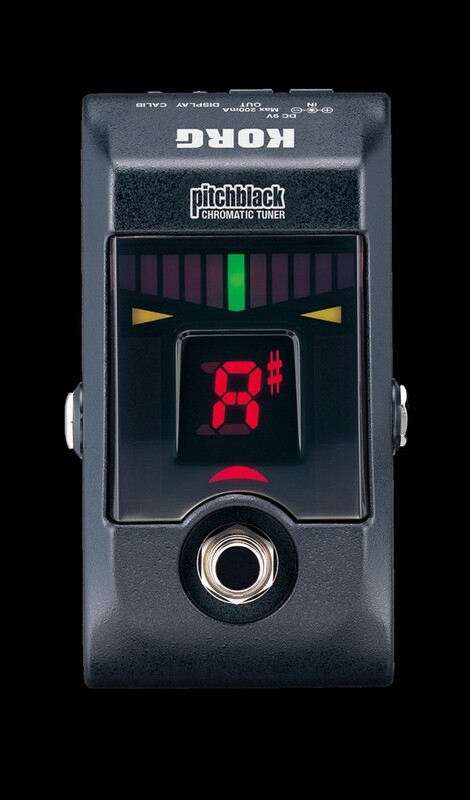 The Pitchblack is the same size as a compact effect unit, and features a tough aluminum die cast body that will endure hard use on the road or in the studio. While small in size, it boasts a large; easy to read LED meter with a light-emitting surface for excellent visibility in any setting from daylight, to stage light to no light as well as an extremely smooth eleven-segment LED meter that allows accurate visual tuning from any angle. 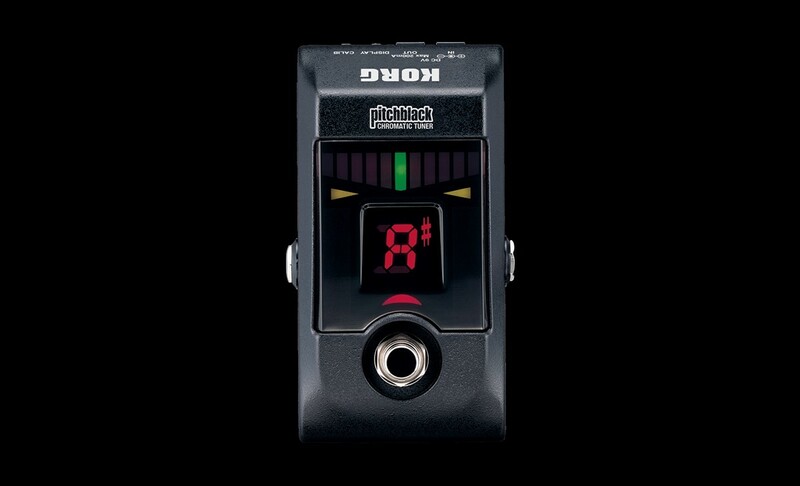 With a red LED that indicates the tuner’s on/off status, a large note name display, and a tuning guide that indicates whether your instrument is sharp or flat, you’ll always be able to tune quickly and accurately in any situation. 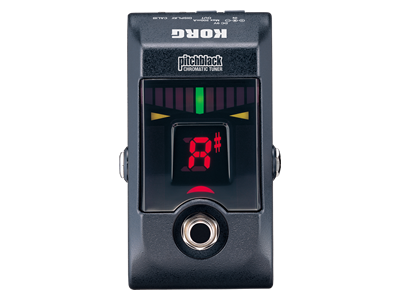 The Pitchblack provides a tuning range of E0 (20.60 Hz) to C8 (4,186 Hz), and adjustable calibration between 436–445 Hz. The Pitchblack mutes the input signal for silent tuning, and when you’re not tuning the input is passed directly to the output jack without being affected by any circuitry (True Bypass). 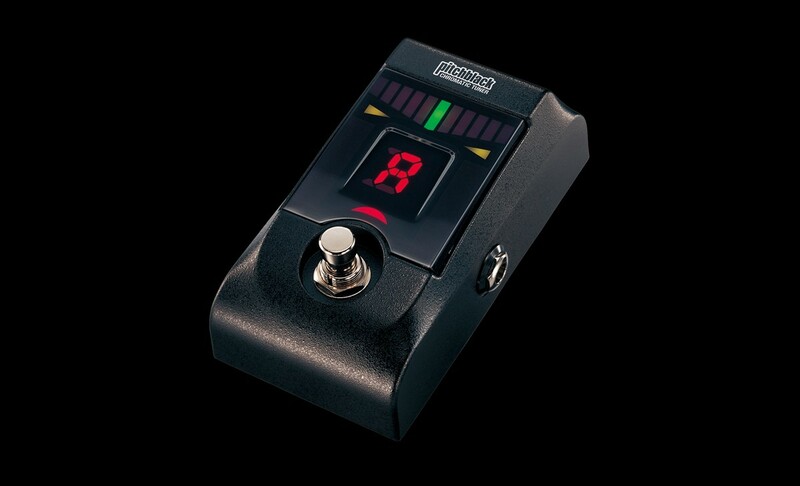 So even if you connect the Pitchblack between several of your favorite pedals, the signal will pass without going through the internal buffer amp, ensuring that the sounds you’ve created using your effects will not be colored in any way. The Pitchblack is designed to coexist transparently with other effect pedals.